How clear is this profile? How well is this profile written? 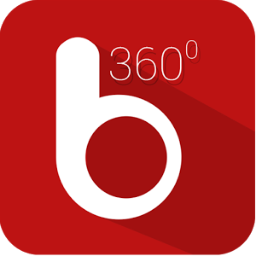 Brand 360 is a brand management platform combined with an influencer community. The platform supports both brand and influencers with tools that can monetize over the discovered connections as well as achieve a high ROI. Sign-up now to build, manage and optimize your digital marketing stack. Stay on top of the latest marketing technology and trends with our weekly newsletter. CabinetM is a Marketing Technology Management Platform that makes it easy for enterprise marketing teams to manage the technology they have and find the technology they need. Using CabinetM, marketing teams can: Create marketing technology stacks to visualize, track, and manage technology being used across the company; annotate each stack with function, performance, spend, and integration information; track all the details of vendor contracts; access a database of more than 10,000 products to find new products to acquire, engage, and retain customers; generate reports to keep everyone informed; and collaborate around technology strategy. The benefits of using CabinetM include: An increase in customer life time value due to improved stack performance and better management of technology expenditures; productivity improvements derived from centralized oversight of technology; mitigation of security and compliance exposure.